Zoom in on a group of colours by moving your cursor over the colour group you're interested in and clicking. E.g. : Click on the field "Neutrals" to find Haymesneutrals colours. Click on "Choose another colour" if you want to find a colour from a different colour family. Every time you select a specific colour on the colour range area, the website will automaticlly simulate it on a default room image. 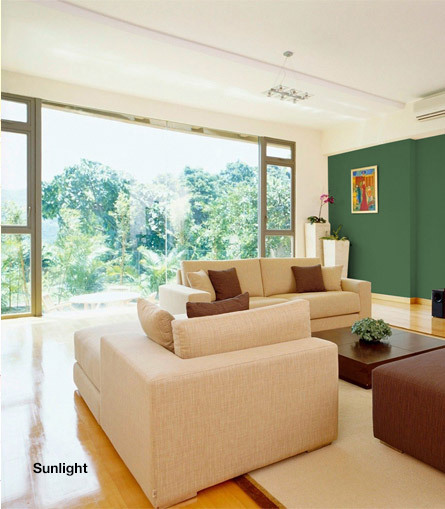 This can give you an indication about room or exterior using the selected paint colour. To view "colour matching ideas" select a colour and click on "View colour details"
If you want to save the selected colour to "My colours" (favourite colours) select a colour and then on the link "+ Save to My Colours". Colour combinations: See colours that combine well with your chosen colour. More Colour Combos: Get more colour combinations for your colour. See More Shades: View different shades of your selected colour. View Similar Colours: Find colours similar to the one you've chosen by clicking on "< >". Share: Share colours with your friends on social networks. Send: Email your colour to others. Save to My Colours: Add your colour to your "My Colours" folder by selecting the colour and clicking on the link "+Save to my colours". Bring this colour in-store: Find your local Haymes retailer and bring your favourite colour with you. Like: Share this colour and tell your friends on Facebook that might be your favourite colour for your new project. Our Colour Range: Brings you back to the main Colour Range entry page. Back to... Click on "Back to X Colour" to get back to your selected colour family. Are the colours online accurate? 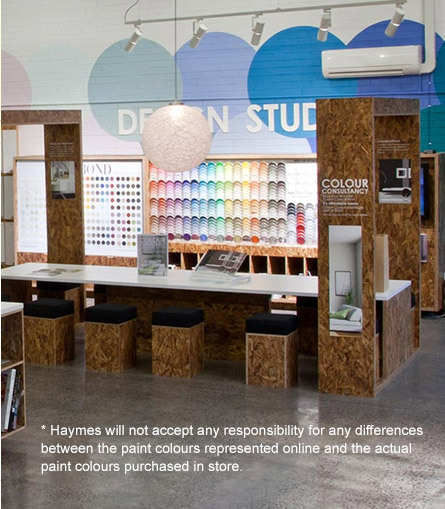 Haymes ensures that the colours represented are as close to our true paint colours as accurately as possible. However actual colours may vary slightly due to a number of limiting factors. How does light affect colour? There are many contributing factors that may affect the way that colours appear online. To grasp this concept, we need to first understand how light impacts our perception of colour. Have you ever taken a photo indoors only to find that it is either too yellow or too blue? You may understand that this is due to the incandescent or fluorescent light bulbs you're using. The human mind is tricky in that it alters our perception of what the eye actually sees. This is why we don't realise how yellow or blue it actually is until we view it from an external source. The colour temperature is a property of light that is responsible for how warm (yellow) or cool (blue) objects will appear. 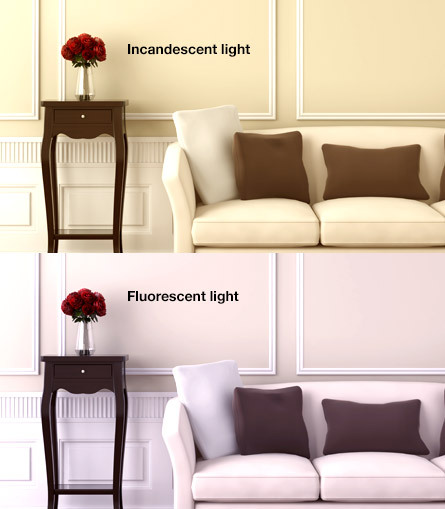 Objects under incandescent or fluorescent lights look different because the colour temperatures of the light sources are different. Keep in mind that this is a characteristic of all visible light and does not just apply to light bulbs! This means that light from the sun also has a colour temperature. In fact sunlight will vary in its colour temperature throughout the day. This means that sunlight can make colours appear warmer or cooler depending on the time of day! Why do colours appear different online? Light sources from monitors are affected by colour temperature too. Have you ever noticed how all televisions appear differently when lined up against each other, even though they're all displaying the same picture? The colour temperature of your monitor will affect how warm or cool your colours are being displayed. More often than not, your display is using its default settings, which has not been calibrated properly and therefore not colour accurate. Many people may find that setting the colour temperature value of your monitor to ~6500K yields the best results, as this is the standard most commonly used around the world. 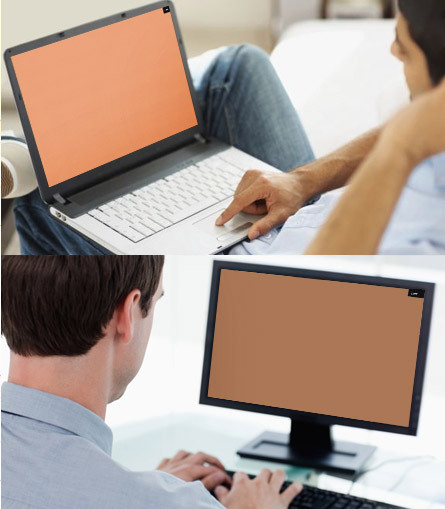 The age of your monitor will also affect the representation of colour. Monitors contain phosphors that degrade in efficiency over time due to its reaction with the surrounding environment. This causes monitors to inaccurately display colours as they age. Conversely, monitors will tend to cast a blue (cool) tint when they are brand new. 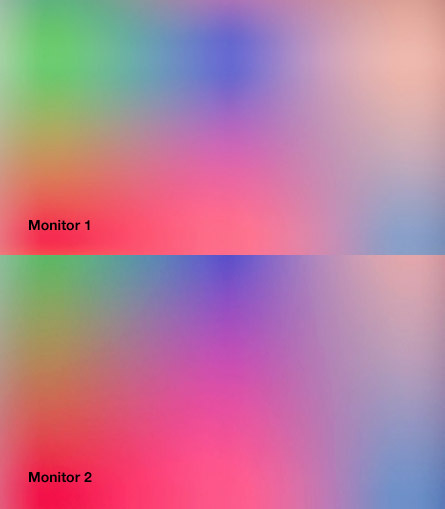 As you can see there are many factors that impact colour variation and each monitor is different. Colours will therefore vary from monitor to monitor. How can I ensure colour accuracy? 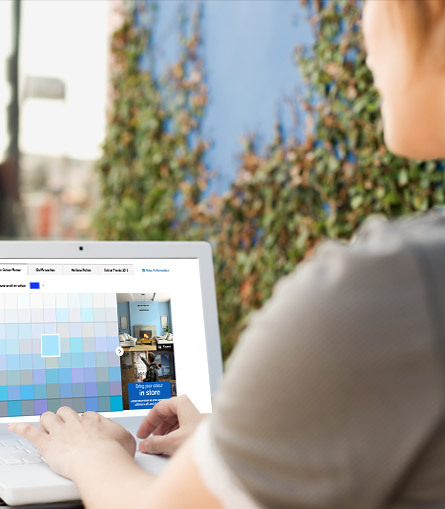 At Haymes, we aim to provide you with the most accurate online representation of our paint colours as precise as possible. To achieve the best results, sample pots and swatches are a great way to experience the exact look and feel that you want. Not only does it allow you to see how the colour changes throughout the day and under different lighting conditions, but you can also take it home with you to see how it matches your environment. There's no better way than to experience it first-hand! For best results, visit your nearest Haymes store (Find-a-store link) for a selection of swatches and colour advice, or purchase one of our sample pots so you can get that exact look and feel that you've always dreamed of! COLORBOND® and the ® colour names are registered trademarks and ™ colour names are trademarks of BlueScope Steel Limited.